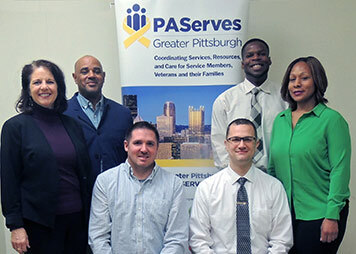 Below are members of the PAServes team who help serve veterans, service members and their families of Greater Pittsburgh. Jean has over ten years of experience with community health. 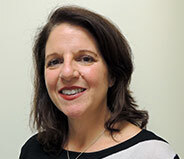 She oversees PAServes as well as intervention programming at Pittsburgh Mercy. She is an avid bicyclist and enjoys spending time with her family. Matt served in the PA Army National Guard’s 1/107th Field Artillery from 2003-2009, during which he was deployed to Iraq from 2006-2007. 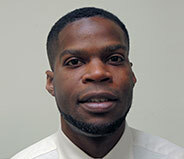 He has experience in family supports, the criminal justice population, and veteran reintegration complications. 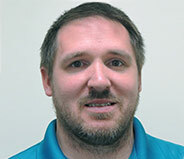 Matt enjoys spending time with his family, tinkering in small projects and fishing. Aaron served as a Sergeant in the PA Army National Guard’s 876 Engineer Battalion in Johnstown Pa. He has ten years’ experience in human services working for Holy Family Institute as a family counselor before joining the team at PA SERVES. 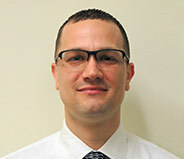 Aaron is a 2005 graduate of Mount Aloysius College where he was Captain of the Men’s Basketball Team. Aaron enjoys spending time with his wife and two young children, playing flag football and basketball and he also coaches T-ball in the community. Kevin served in the 1st/23rd Infantry Division from 2000-2005, during which time he deployed in support of Operation Enduring Iraqi Freedom from 2003-2004. Kevin is a graduate of the University of Pittsburgh and has experience in anti-violence advocacy as well youth mentorship. Kevin enjoys painting, visiting local museums and attending local art events. Rashida has been a member of the Army Reserves 305 Military Police Unit from 2014 – present. During which she was deployed to Guantanamo Bay from 2016-2017. She has over 15 years of social service experience working at the Social Security Administration prior to joining the PAServes team. 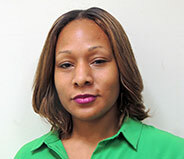 Rashida enjoys giving back, working out, and spending time with her family. A native New Yorker, Greg has been in the Pittsburgh area since 1990. He served in the regular army from 1985-1987 and spent those years at Ft. Devens in Massachusetts as a combat medic. 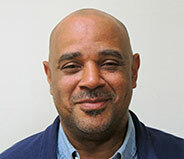 Greg has held multiple positions in the mental and behavioral health field at Pittsburgh Mercy before joining PAServes. Greg enjoys spending time with family and friends and has a son who currently plays football for the Tampa Bay Buccaneers. Pittsburgh Mercy, a member of Trinity Health and serving in the tradition of the Sisters of Mercy, is a person-centered, population-based, trauma-informed community health and wellness provider. We offer help – and hope – to those who are most in need, including members of the U.S. military community (active and former). All of our services are designed to address your total well-being – body, mind, and spirit.